The Peanut Butter’s Here! The Peanut Butter’s Here! Boyfriend made yet another awesome food suggestion yesterday during lunch and I had been craving it ever since – BLT’s! So after working out, I quickly ran to the grocery store to grab the fixins’ (namely, we were out of bread and had no bacon). Since B wasn’t with me to bellyache over my decision, I took the liberty to buy the super low-fat, low-sodium turkey bacon I have been wanting to try for so long. I ended up buying the Butterball variety. I was skeptical but still intrigued by how “healthy” it seemed. So we gave it a whirl. 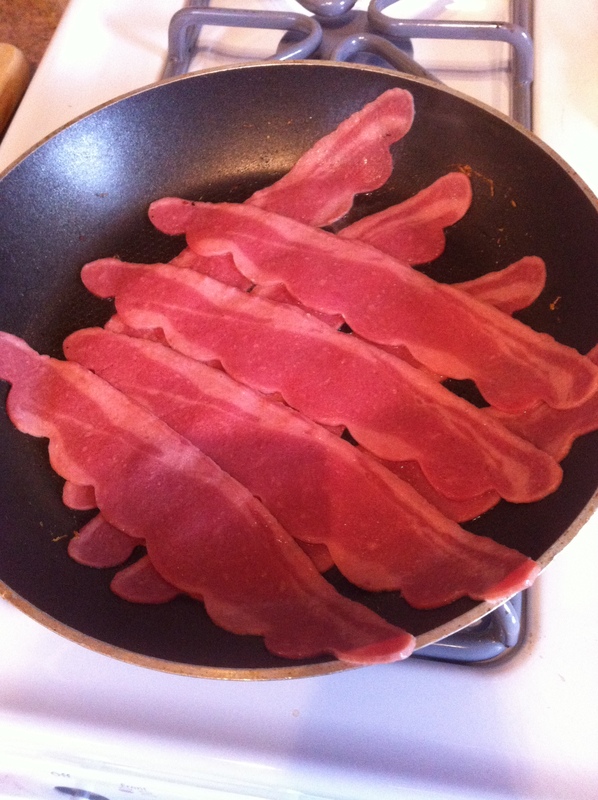 The color looked a little odd & Boyfriend claimed it smelled like salami more than bacon. As it cooked, though, it looked and smelled quite good! I don’t know if you can really see the end product because I topped the bacon with salsa, but it was excellent! Didn’t look or taste too shabby. My second time around – I added a tad more water and got a much creamier product, maybe a little too creamy. This is gonna take some practice. – What does today feel like to you? This entry was posted in Boyfriend, Eats, Relationships, Workouts. Bookmark the permalink. 4 Responses to The Peanut Butter’s Here! The Peanut Butter’s Here! 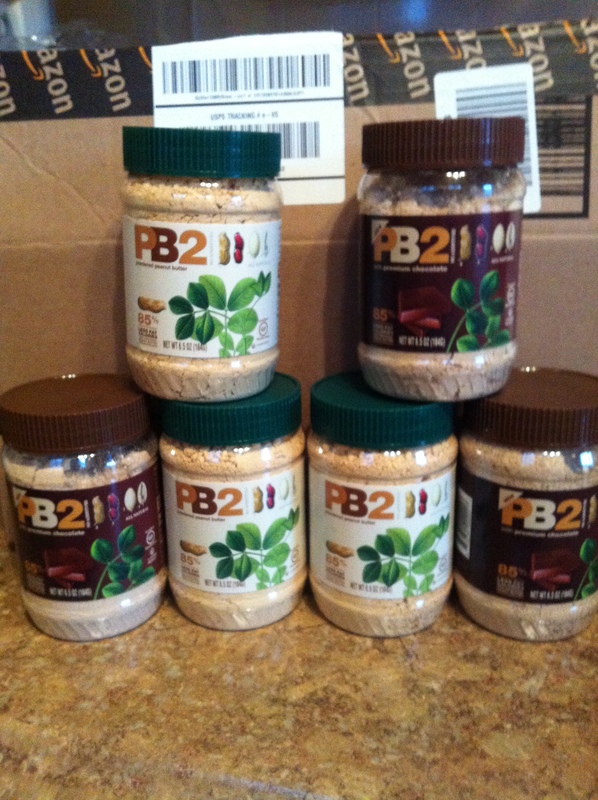 I haven’t tried PB2, but I did just try a different brand of chocolate powdered PB. It wasn’t bad, had a bit of a funny aftertaste though haha. OK set me straight..you call your husband both husband and boyfriend right? Sometimes it throws me off haha. Yeah, the PB2 is going to take some getting used to, but I’m willing to stick with it for at least a while to see how I really feel about it. I totally figured as much!! I just wanted to make sure you didn’t have some extra lovin on the side. TOTALLY JOKING!! I think the boyfriend/girlfriend names are cute!